Having thin lashes is a nightmare for all of us, so do eyelashes grow back? Well, yeah fortunately they do! 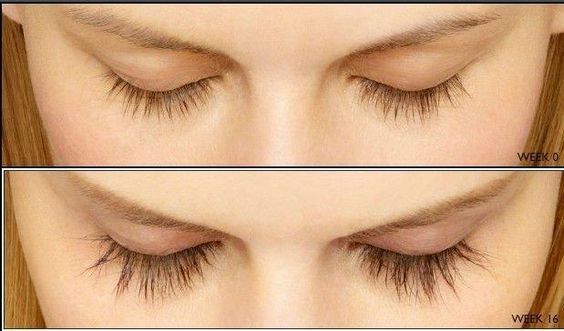 There are various methods to make them grow back again, but I will firstly mention about the purpose of our lashes and the reasons why they are falling out. If you are not interested in that kind of information, follow this link to read my post about best growth serums for the best result. What do eyelashes do and why do we have them? Short and curvy hairs that are on the edge of the eyelid are called eyelashes. The reason we have eyelashes is not only to look pretty – though I can’t deny it makes us look pretty – but to protect our eyes from excessive sunlight and dust getting into the eyes. Which makes having healthy eyelashes highly beneficial for our eyes. Eyelashes or simply lashes are just one of the hair groups we have from birth, just like eyebrows. 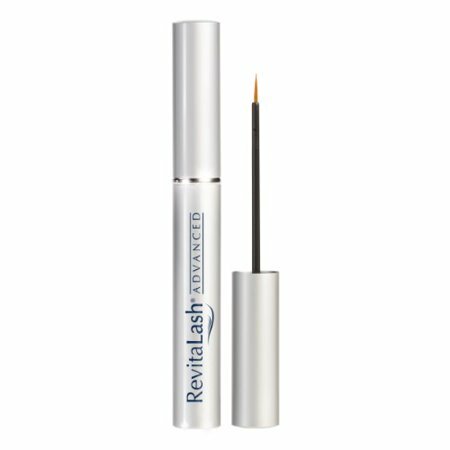 Our eyelashes are highly responsive to any kind of external danger, reacting reflexively, to any approaching danger. A healthy human has anywhere from 100 to 170 eyelashes for each top eye lid, whereas lower eyelids have significantly less eyelashes, averaging at around 75. It is safe to say we have approximately 350 to 500 eyelashes in total, however it is very difficult to find out exactly how many lashes you have. If you believe you have less eyelashes than an average person, you could ask a friend to count them for you, and then you can return the favor and compare the results. *Click on image to enlarge it. Every day, anywhere from 1 to 4 eyelashes fall out naturally, each lash has a lifespan of 3 to 6 months. Therefore, on average a person loses about 700 lashes per year, which is almost twice the lashes we have in total, but worry not! It is totally normal to lose that many eyelashes since they regrow quickly. However you should start worrying if your eyelashes fall out in clumps and faster than usual, in this case some additional help may be a good idea. High stress levels and depression. Lack of Vitamin B and Vitamin E.
Allergic reactions to make-up products. Chemotherapy and side effects of specific drugs. If you are not sure why your eyelashes are falling out, it is advised to consult an expert to find the root of the problem. Your lashes are frequently exposed to make-up products which makes their lifespan shorter than the usual. However, even if you are not using any kind of cosmetics around your eyes, they will still fall out naturally as mentioned above. So, once you lose them how long does it take for eyelash to grow back again? It is hard to say the exact time-frame for one lash to regenerate, as it is different for every person depending on age and if you have any diseases or lack of Vitamins. For a healthy person it takes about 6 weeks for one lash to grow back again to its maximum length. Once it reaches its maximum length it will fall out in a month or two again. More importantly, if you are losing lashes faster than they are regrowing, you will end up with thin eyelashes, and nobody wants that. If you are like most women, you probably pay a lot of attention to your look and you already know eyelashes are one of the most important assets of a person when it comes to physical appearance. Our eyes are the first things we notice on a person. So let’s find out how to get your eyelashes to grow back again faster and healthier. I wanted to share the most effective methods that I have tried to make my eyelashes grow back again. There are 2 roads you can go down, the quick fix way or the longer, course based options. The latter requires a bit more patience, but will provide significantly better results long term. I have tried all of them and I am pleased to share my findings with you here. I am going to compare growth serums, lash extensions and natural oils. However I am leaving mascara out, since this blog is focused on those who have thin lashes and mascara wouldn’t be suitable in this case. In the past, we used to see false lashes used only in the movies by actresses, but in modern times, they have become a part of our daily makeup. Moreover, high quality and natural looking ones are really hard to distinguish from real eyelashes. Although I love the appearance of individual eyelashes, it takes a lot of time to paste them between my eyelashes and if glued too much, you will damage your real lashes in time. Resulting in the appearance of thin lashes. I would only recommend wearing false lashes if you are attending an event for example and are short on time. This would be understandable for not splashing out for lash extensions or some of the other solutions. There are three types of lash extensions, synthetic, silk and mink lashes. I went for the silk lashes as I thought they looked like the best substitute for real lashes and they are lightweight. However as natural as they look, in the end they are not real lashes, therefore you have to take good care of them. The application takes about 2 hours and you will have to visit your beauty salon every three weeks after the application, to maintain their look and feel. As I said, you will need a bit of patience, months to be precise. But I guarantee you that you will be happy with the result, why? Simply because you will have real lashes that you don’t have to keep paying for maintenance, or worry about if they look natural or not. It gives you healthy lashes with permanent beauty on them. Alternatively, if you want to make your serum using a variety of oils and vitamins, have a look at this blog post to see which oils are good for lashes. As I mentioned above, I have tried all of these methods listed above. If you are looking for a quick solution just get fake lashes from a respectable brand. 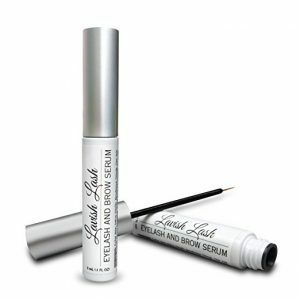 On the other hand, if you prefer your lashes to grow back thicker, longer, with far less maintenance involved, my advice is to use an eyelash growth serum. Simply because real lashes are better than artificial imitations. Initial costs can be higher than getting fake lashes, but it’s worth it since you won’t have to spend extra money after you have your lashes back, with no recurring purchases. Do eyelashes grow back if cut, burnt or pulled out? If you accidentally pull out, cut or burn your lashes, you don’t have to worry and neither do you have to use any products to make them grow again. They will grow back naturally in a matter of weeks or months. As mentioned above, we lose about 700 lashes per year and a pulled out lash is no different, this is calculated into the averages. To speed up the regeneration process you can utilize one of the growth serums I reviewed in this post. What if you don’t do anything, will they grow naturally? While eyelash growth can naturally happen, it takes a while – and your lashes need a little more encouragement as they grow. Their growth rate pattern is like that of the hair on your head, and if they fall out or get damaged, this process is disrupted and it can take a while for them to regrow. Damage can be caused by applying mascara and other cosmetics, dyeing, and plucking. Here are a couple of methods involving your diet and smart supplementation to help you facilitate eyelash growth naturally. Consume an eyelash friendly diet, which consists of protein and vitamins for hair growth. The ideal sources of food for this include fish, eggs, beans, and dairy products like yogurt. You can also consume soy protein. Antioxidants! Two powerful ones are vitamins C and E, which assist in the normal growth and development of your hair. Dry and split hair, for instance, results from vitamin C deficiency. The same nutrient also helps block hair damage from free radicals. Vitamin E, on the other hand, assist in scalp wellness through increased circulation. Good dietary sources are avocado, citrus fruits, and dark leafy vegetables. Try biotin or vitamin H, which can promote faster hair growth and improve strengthening. It’s a water-soluble B-complex vitamin that is found in both foods and cosmetics. Consume pecans, almonds, sardines, whole grains, and bananas. Egg yolks also contain this vitamin but raw egg whites contain a protein that prohibits its absorption. Vaseline and natural oils; Every night before you go to sleep, apply a small amount of olive or castor oil on your eyelids, at the base of your lashes. This will help enhance lash length in about a month or so. Olive oil also has conditioning properties. Have you also tried emu oil? 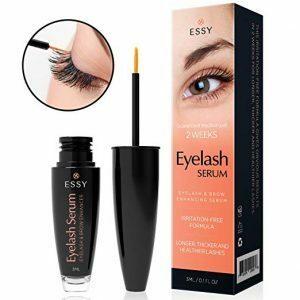 This is an exotic oil that you can also apply the same on your lashes. Another option is Vaseline, which works like these natural oils. You can apply it every night and wash it off after 15 or so minutes. In a few weeks, hair growth may be noticeable. For more natural DIY recipes, read this post.